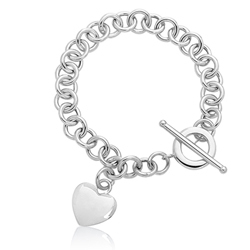 Puffed Heart Tag Toggle Bracelet in 14K White Gold . 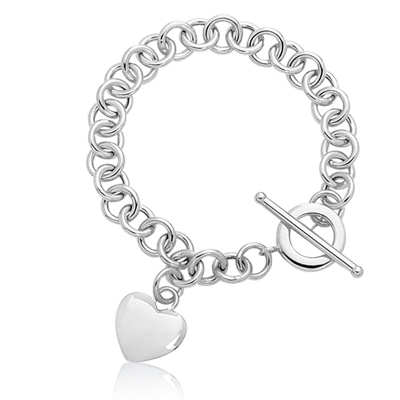 This is an exquisitely crafted Puffed Heart Tag Toggle Bracelet in 14K White Gold. The bracelet is 7.50 inches in length. It features a decorative toggle closure.